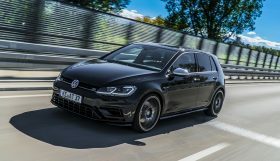 On the platforms of the VW Golf VII and the VW Passat, which are both based on the modular transverse toolkit, the Volkswagen Group offers vehicles with very different characters. 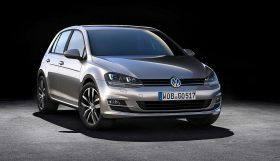 This includes the own variants Golf Sportsvan, Touran II, and Tiguan II just as the “more distant relatives” Skoda Octavia III, Superb III, or the Seat Leon III. 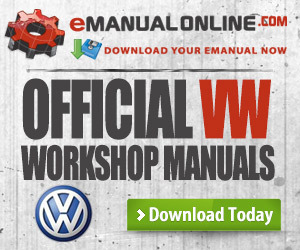 Due to great popularity, all these models play a crucial role in the daily routine of workshops. Under the name DampTronic and with further improved technology, BILSTEIN will soon complete its range for standard replacement parts and suspensions of vehicles equipped with ex factory active shock absorbers. More information will be available at the automechanika 2016. In contrast to the competition, BILSTEIN will not only offer individual products for the vehicles mentioned, but the entire range. All components permit plug-and-play installation. The gas-pressure shock absorber type B4 DampTronic is a replacement for standard parts in best OE quality, offering constant damping under any load, precise handling and high traction. “Better than the original” is the principle for the development of the BILSTEIN B6 DampTronic shock absorber, that features twin-tube or mono-tube upside-down technology. It will deliver uncompromising road holding and increased tracking stability even in extreme situations, for example when pulling a trailer or with a heavy load in the vehicle. 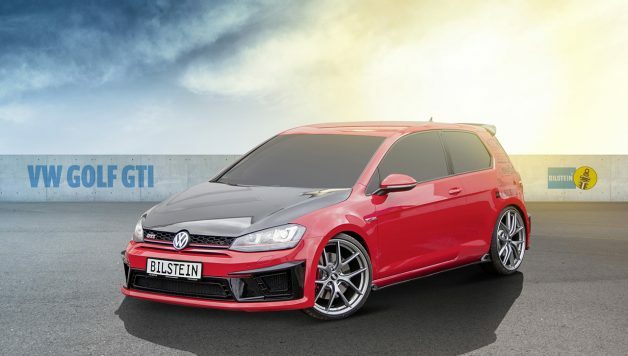 Customers with standard active dampers looking for an even sportier driving experience with variable vehicle height can soon find their ideal partner in the BILSTEIN B16 DampTronic. 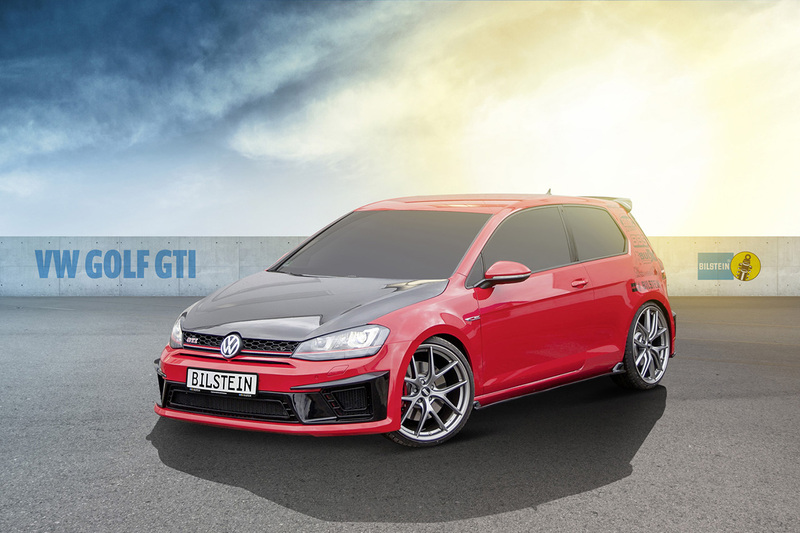 The coilover suspension additionally allows adjustment of the damping force and features an adjustment range that is suitable for approval, permitting subsequent height adjustment without renewed approval. The “robust lightweight design” with numerous aluminum parts also supports the dynamic handling of the vehicle while ensuring a long service life. 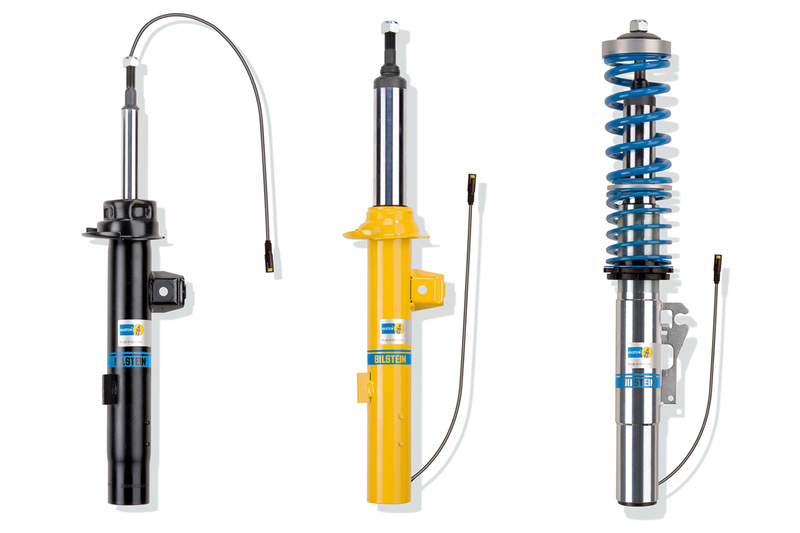 BILSTEIN has been offering numerous standard replacement parts and suspensions without DampTronic for all mentioned vehicles without actively controlled shock absorbers for some time. 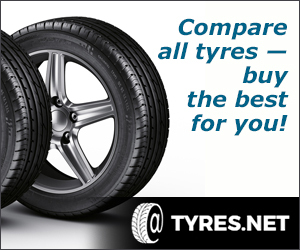 For example, the BILSTEIN B4 and B6 shock absorbers as well as the B8 are designed for combining with lowering springs. 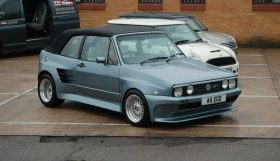 Other highlights in the range are the complete suspension BILSTEIN B12 Pro-Kit and the B14 and B16 coilover suspensions. The latter is available in the ridecontrol® version which offers ride modes that can be selected from the cockpit.